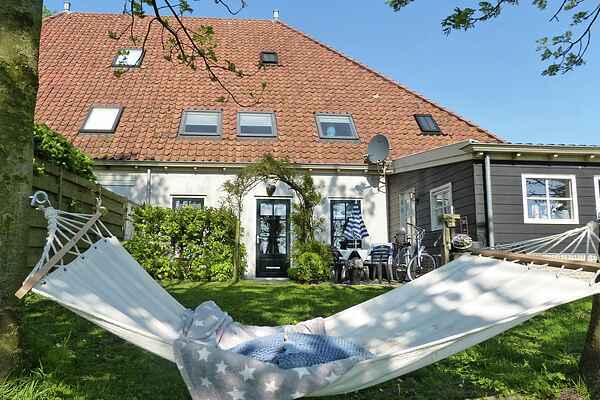 Nature lovers can indulge themselves in this charming holiday home, as it is located in the polder landscape of the beautiful province of North Holland. The beach of Egmond aan Zee is less than 5 kilometres away. This romantic studio has been charmingly furnished with care. You enter into the living area/bedroom, where the luxury bathroom is located as well. The kitchen, suitable for preparing simple meals, is in a separate area. The garden offers wide views and there is a hammock to completely relax and unwind. The owner lives in another part of the farmhouse; they have decorated the studio with an eye for detail and are happy to give you tips on the to-dos in the area! The location of the studio is very central, lively Egmond aan den Hoef, Egmond aan Zee and Heiloo can be reached in just ten minutes of cycling. The cheese city of Alkmaar is also nearby, great for a day of shopping.